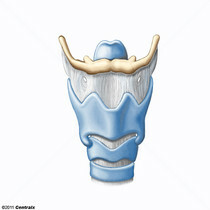 The nine cartilages of the larynx, including the cricoid, thyroid and epiglottic, and two each of arytenoid, corniculate and cuneiform. 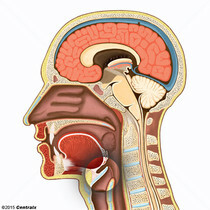 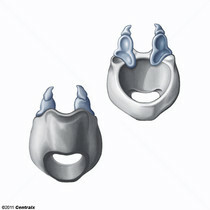 The small thick cartilage that forms the lower and posterior parts of the laryngeal wall. 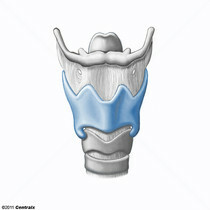 The largest cartilage of the larynx consisting of two laminae fusing anteriorly at an acute angle in the midline of the neck. 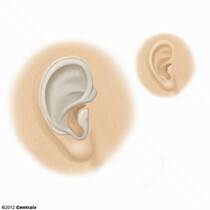 The point of fusion forms a subcutaneous projection known as the Adam's apple.